Every year, during term time, we have a group of pupils visit us and help out in the field once a week. These children are from The Abbey School; a strong and vibrant special school with places for those who have learning difficulties and additional needs, particularly autism. Their visits are part of their work towards their Duke of Edinburgh Award. NCS is a three to four week experience that helps build the confidence and self belief of young people aged 15-17, so that they can take on anything in life. Every year, Farnham Community Farm hosts 24-36 young people taking part in NCS, offering a project to volunteer on and a focus for their Social Action phase. Last year, the NCS groups with us raised over £500 for FCF, a fantastic achievement! Twice a week Chris visits the farm with a helper and gets involved with all manner of tasks in the field. Chris is a young man with autism, and he is also very sensitive to noise. Recently the day service Chris had been attending for the last five years decided they could no longer cater for his needs, and his family have had to find alternatives to his day placement. 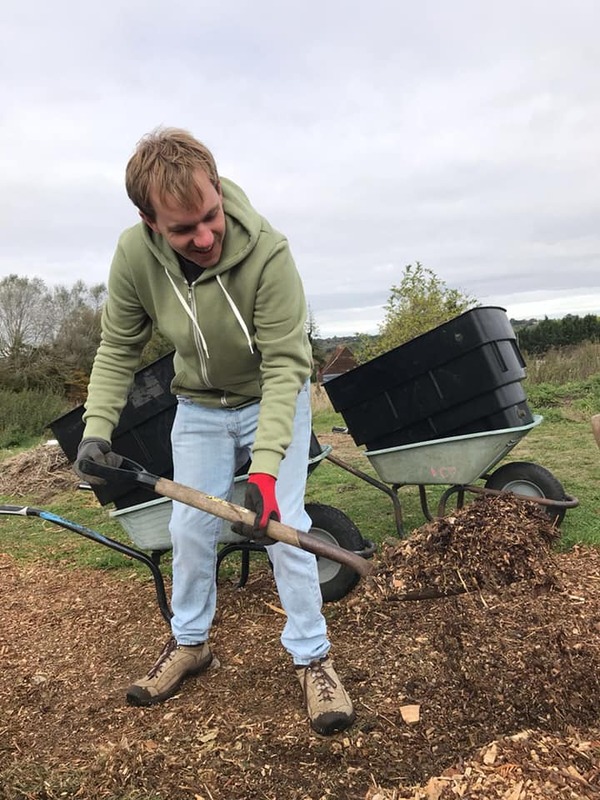 As well as creating personalised gifts through social enterprise Chris and Co, volunteering at the farm is another enriching element to his week. We offer regular work experience placements to people referred through Surrey Choices EmployAbility; a dedicated service that helps to find work placements, training, volunteer opportunities and paid work for those living with autism or a learning, physical or sensory disability. Find out more about the EmployAbility scheme here. 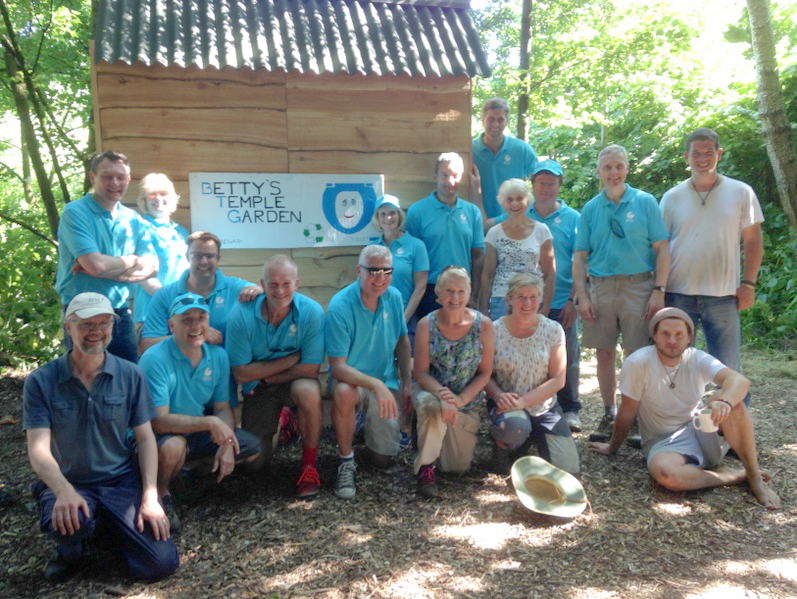 Thank you for enabling our students and adults with a disability the opportunity to volunteer at Farnham Community Farm. Your support, welcome and environment make even the hardest to help feel valued, and have a role in the community. I know that some of our customers volunteering with you have been unable to find placements elsewhere, so we are very grateful for your openness to all. Even when we turn up with students who would rather sit in the car than work, you find easier, fun tasks for them to do... so thank you. We host visits from groups such as Rainbows, Guides and Beavers. Every visit begins with a tour round the field, after which the children get involved with tasks relevant to their age. We offer opportunities for corporate teams looking for a day out from the office, to get stuck in and reconnect with nature. After a farm tour and introduction to our scheme and what we do, the work begins! Depending on time of year, weather and what's happening at the farm, tasks will vary. 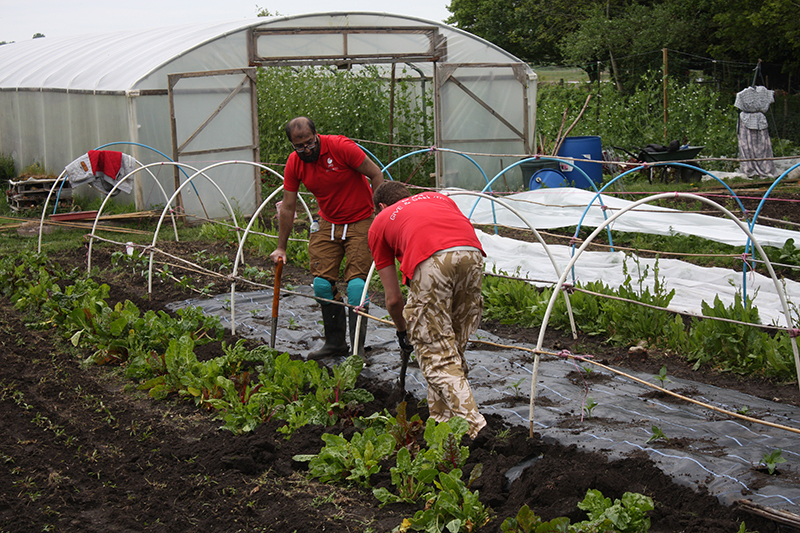 The team can help with ongoing activities such as harvesting, or get involved with a one-off project such as building infrastructure or creating a wildlife area. We can provide refreshments and a homemade lunch too, using our own organically grown vegetables. Get in touch to find out more about our Team Challenge Days.